This Mamaearth Conditioner nourishes your scalp and hair from root to the tip. It helps to get frizz-free and manageable hair. Mamaearth conditioner help to Frizz & Tangles can damage your hair, increase breakage and cause split-ends. This wonder product is a combination of the most efficacious natural ingredients that will nourish your hair completely from root to tip. Mamaearth Hair Conditioner has Milk Protein which give you naturally soft and silky hair. In this Vitamin B5 strengthens hair follicles and helps your scalp get rid of dead skin. 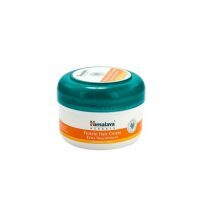 In this Cocoa butter moisturizes the hair making them soft and shiny. This naturally stimulates the hair growth while calming the nerves of the head and scalp will reduce the inflammation and hair loss. Use Mamaearth Conditioner for frizz free and easily manageable hair. In this Milk Protein and Amla, helps with frizziness and dry hair. In this Argan and Tea Tree oil nourish hair and reduce hair loss. This reduces the breakage, split ends and hair loss. This Dermatologically tested, which suits all types of hair . In this No Silicones, SLS, Sulfates, Paraben, Phthalate, Synthetic Color, Artificial Fragrance. Mamaearth Hair conditioner : In this various ingredients are as follows : Aqua, Cetearyl Alcohol, Steareth 21, Cocoa Butter, Milk Protein, Argan Oil, Shea Butter, Amla Extract, Fenugreek Extract, Potassium Sorbate, Propylene Glycol, D Panthenol, Sodium PCA, Cetrimonium Chloride, Pullulan. After shampoo in hair, take adequate quantity of conditioner. Apply Mamaearth Hair conditioner on your hair properly ,start from the root and all the way down to the tips. 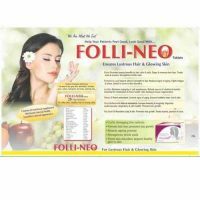 No side effects, easy to use & gives shining hair.